A US trade panel on Wednesday blocked tariffs imposed on Canadian newsprint imports which drew sharp protests because of their impact on struggling American newspapers. The International Trade Commission, a quasi-judicial panel that reviews tariff measures, said in a statement that newsprint or "uncoated groundwood paper" imported from Canada "does not injure US industry." The decision, which is subject to appeal, means the preliminary tariffs of up to 30 percent imposed earlier this year by the Commerce Department are canceled and money collected will be refunded. The tariffs were imposed in response to a complaint by a single US paper mill, which alleged that subsidized imports from Canada hurt American industry. But the US paper industry's trade organization failed to back the complaint, and the tariffs drew sharp criticism from newspaper publishers, lawmakers and others. David Chavern, president and chief executive of the News Media Alliance which includes some 2,000 news organizations, welcomed the ITC decision. 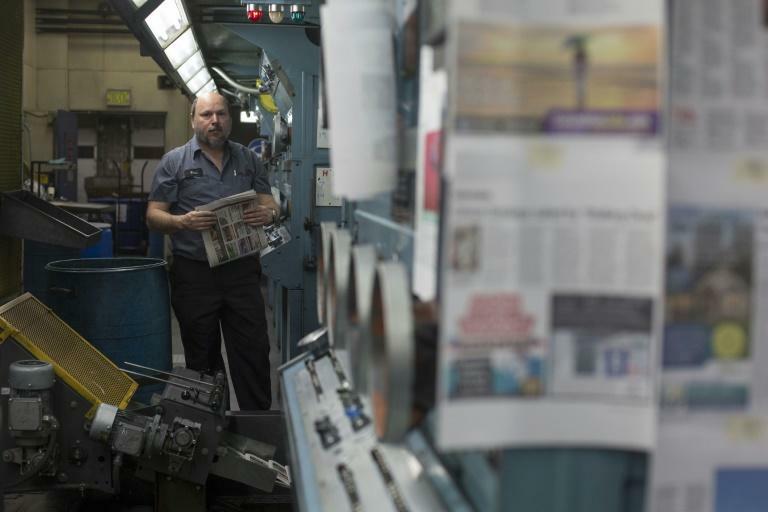 "We have emphasized that the decades-long shift of news and information from print to digital platforms -- not imports from Canada -- is the cause of the decline in demand for newsprint," Chavern said in a statement. "Unfortunately, the damage to newspapers from preliminary tariffs imposed by the Department of Commerce since January has already been done. The tariffs have disrupted the newsprint market, increasing newsprint costs by nearly 30 percent and forcing many newspapers to reduce their print distribution and cut staff." Analysts have said the tariffs had added to the woes of traditional newspapers, especially in small communities, where newsprint is one of the highest costs after payrolls. Newspaper industry employment in the US fell from more than 400,000 in 2001 to 173,000 in 2016, according to government data, highlighting the troubles faced by the shift to digital. The decision comes amid broader US-Canada trade tensions and negotiations aimed at replacing the North American Free Trade Agreement that includes the two countries and Mexico.